It's tastePINK! 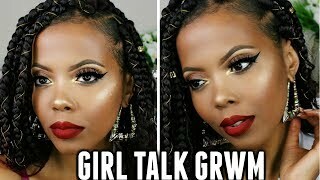 Welcome back to another episode of GIRL TALK GRWM !! 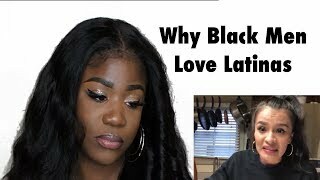 In today's video, I wanted to discuss whether black women should settle [dating/relationship/marriage] and I introduce interracial dating (this will be discussed in later episodes). 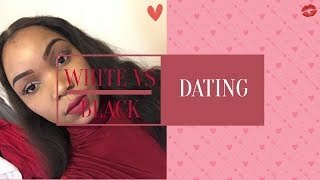 What are your thoughts on dating down? 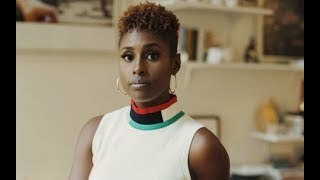 Is struggle love really conducive to a healthy relationship? Hourglass Mineral Veil Primer https://go.magik.ly/ml/hoin/ Sephora Make No Mistake Foundation & Concealer Stick (Mahogany) https://go.magik.ly/ml/dsnv/ Sonia Kashuk Makeup Blender Sponges (5 pack) https://go.magik.ly/ml/fq7l/ Maybelline New York Fit Me Matte + Poreless Foundation, Cappuccino https://go.magik.ly/ml/f59b/ CoverFX Power Play Concealer https://go.magik.ly/ml/hoil/ Fenty Beauty Trophy Wife https://go.magik.ly/ml/hoic/ Maybelline Colossal Mascara https://go.magik.ly/ml/f59n/ Sephora 12 HR Wear Eyeliner (Matte Black) https://go.magik.ly/ml/hoi7/ Inglot #391 (matte black) eyeshadow Lashes: @reignonglow "KRONOS"
Lip Combo | 1. http://go.magik.ly/ml/4brz/ 2. http://go.magik.ly/ml/8l3o/ 3. Colourpopxiluvsarahii "Arriba"